Prosserman Jcc Miles Nadal UJA Federation About Us Blog Contact Us Need Help? 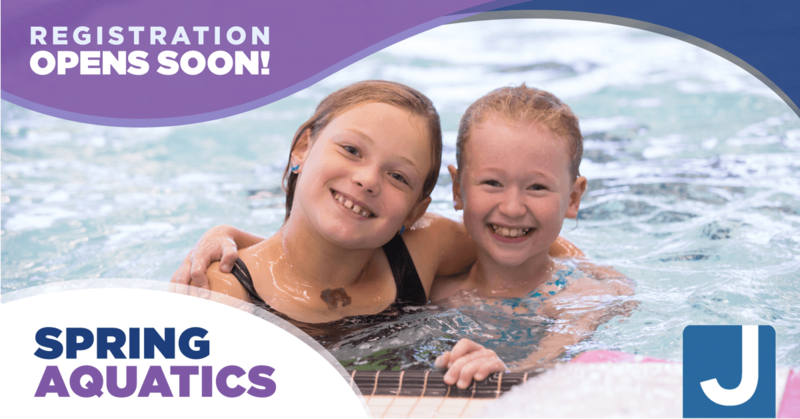 Swimming lessons for every level and all ages! Convenient times and easy location! 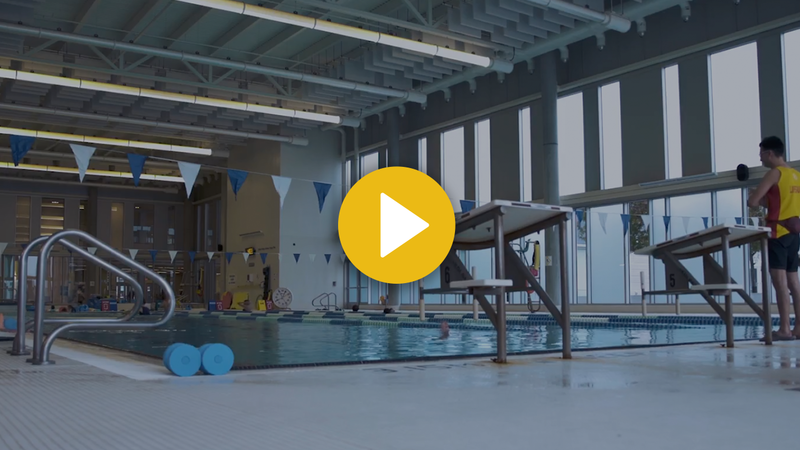 Competitive- A 90 minute intense introduction to competitive swimming principles for kids who have completed Swim Kids 10. We offer an “ANY LEVEL, ANY TIME” format for most swim lessons. We offer all levels at almost any time. Just select the date and time and we do the rest! This is great for families with multiple kids! Registration is ONLINE ONLY. Phone registration is no longer available. Winter session registration will be open as per dates above. If you haven’t already done so, we strongly advise setting up your free online registration account in advance of the above registration dates. Click here to learn more about online registration and how to create your free account! New to the Aquatics Program? Are you new to our program and not sure what level to register your child for? Call our Aquatics department at 905-303-1821 x 3023 to setup a free 5 minute swim assessment. Our instructors will assess your child’s swim skills and recommend an appropriate level for registration. 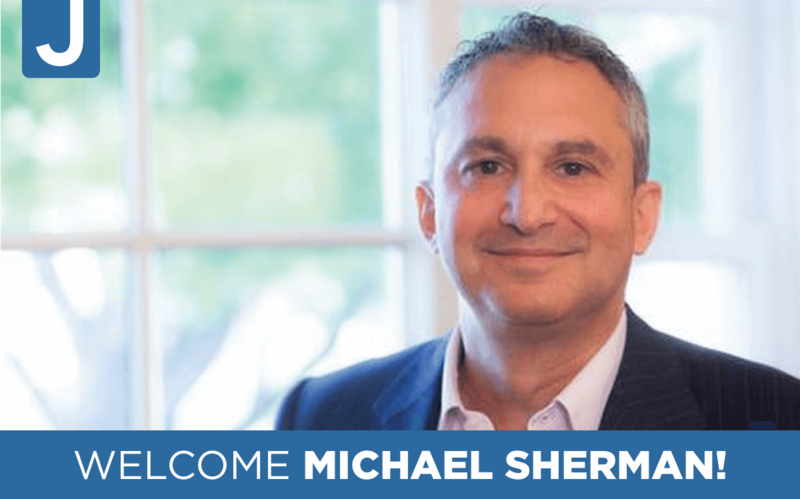 Last night, the Prosserman JCC and Schwartz/Reisman Centre Board of Directors announced its new Chair, Michael Sherman. Michael is well known to our community but we thought we would take a few minutes to help you get to know him even better. Use any of the following as jumping off points to start a conversation with Michael the next time you see him at an event, class or meeting (of course other conversation topics are welcome!). When not at the J, he works as head of Behavioural Economics at RBC Royal Bank, introducing new ways to bring about exceptional client experiences. 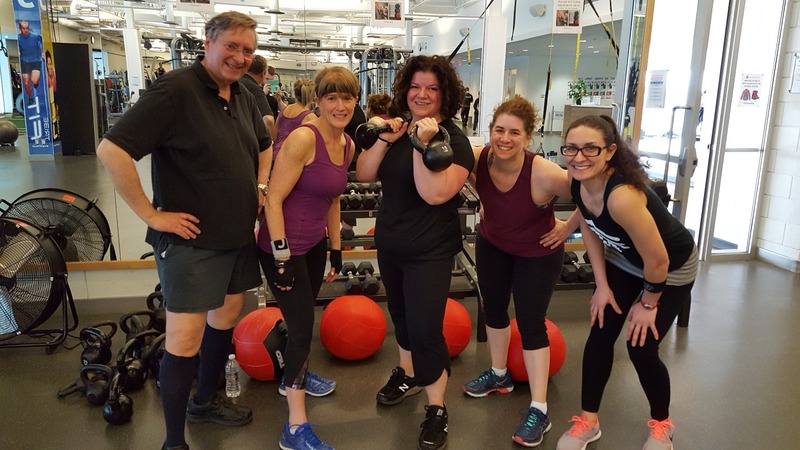 His connection to the JCC began when he first entered law school in the ‘80s and working out a the “J” became part of his daily routine. Where you may have seen Michael at the J: Weight training, playing basketball, taking art classes, swimming in the pool and attending community and holiday events. His lay leadership with the JCC started in 2013 and has included serving on the Marketing, Budget and Finance, and Executive Committees. Personal mantra: It’s all about relationships. Care. Compassion. Connect. We reached out to two JCC educational leaders, Galya Sarner, Director of Kachol Lavan, and Tova Hovich, J.Roots Educational Director to find out the secret to creating two of the most successful supplementary Hebrew schools in the city. What is the secret to creating an excellent supplementary Hebrew school? Sarner: The secret code of the Jewish people is the Hebrew language — parents intuitively understand that and are looking for that for their children. As with any successful community initiative, the primary element in creating an excellent supplementary Hebrew school is working with passionate lay leaders and staff who believe in the school’s vision. Hovich: There are many components in creating an excellent supplementary Hebrew school. First is to create a unique school culture tailored to the requests and desires of the Jewish clientele that you serve. Second is the implementation of the best educational practices from the field of supplementary education. The pedagogy and the teaching philosophy must be high-level, innovative, attractive and engaging with a multi-level Hebrew and Judaic content approach. What should parents look for in a supplementary Hebrew school? Sarner: Parents should try to find a school that matches their educational vision for their children. Do you want a diverse community within the school? What age range does the school cover? On what does the curriculum focus? Since Kachol Lavan began in 2006, we have focused on one main thing: a love for the Hebrew language and connection to Israel. This value proposition is what we feel has made us one of the leading Israeli supplementary schools outside Israel, especially for native Hebrew speakers. Hovich: Parents should check the mission, the teaching philosophy and the educational contents — whether it’s Judaic, Hebrew, etc. — of the schools. Each supplementary Hebrew school differs in these aspects, and parents should do their research in order to ensure that their school aligns with their expectations. Book a tour of the school, meet school management, tour the classes and pay attention to student-teacher ratio in the classrooms. Parents might also want to ask what other educational opportunities are offered within the school, such as art, workshops, events, trips and music. What are some of your greatest successes? Sarner: One of my personal highlights was the expansion and integration of Kachol Lavan into the JCC community. The incredible spirit of Kachol Lavan overwhelms me and is definitely a huge part of our success. Hearing our students speaking and singing in Hebrew, celebrating Jewish holidays, talking part in community-wide events and seeing our alumni take an active role as new leaders in our community are all huge sources of pride for us as a school. Hovich: I think having the highest possible student and staff retention rate in the supplementary education industry is our biggest marker of success. Over 90 percent of students and staff return year after year to continue their J.Roots journey. We have car pools of families coming from all across the GTA — as far as Bolton, Caledon, Newmarket and Barrie. Our student and faculty grow each year and now encompass 372 students and 27 weekly classes at two JCC locations, all delivered by 60 personnel and JVolunteers. Our alumni are another mark of success. We already have a pool of a few hundred of our own alumni who continue to stay connected to UJA and JCC in many ways, whether through volunteering or participating in events and trips. How do you come up with innovative and cutting-edge curriculum? Sarner: We surveyed families in order to help us set direction for the future. From that information, and discussions with staff, we set certain priorities, including enhanced Hebrew-language instruction and development of a new proficiency model; new enrichment opportunities; enhanced learning experience through a new approach to curriculum and evaluation; an increased opportunity for teacher engagement; and an increased opportunity for parent involvement. Hovich: A few experiences have shaped how I develop our curriculum: my Israeli educational background in Jewish history and educational management, my professional experience teaching Jewish history and Hebrew as a second language, and participation in Diaspora curriculum with the Jewish Agency and the Israeli Ministry of Education. The JRoots curriculum is created in teams made up from our school’s Educational Leadership Board. Each year, we evaluate success criteria for each grade level, see what worked and what didn’t and update our multi-grade curriculum accordingly, adding new components, features and pilot projects. At J.Roots, we have created a lot of generic and consistent material that can be used in different classrooms, creating one big picture of the school’s teaching and philosophy. Having this approach sustains the J.Roots pedagogy and allows us to build on and enhance the curriculum as needed from year to year. How do you select your teachers? Sarner: We are always looking for staff with the vision, integrity, knowledge and, most importantly, passion for the mission of Kachol Lavan. Our educational staff is composed of university-graduated certified teachers who are fluent in English and Hebrew. They have community experience and involvement and are creative thinkers. Mostly, they are strong leaders with an ability to provide an authentic love of Israeli culture. Hovich: Aside from looking at the professional background of our teachers, which includes qualifications and teaching experience, we want each faculty member to be an ambassador of the JCC and JRoots. We look for teachers who are engaging and creative and foster a positive learning experience by being role models for our students. Our teachers must have a passion for making the connection between our students’ Canadian roots and their Jewish roots. The JCC supplementary Hebrew schools are growing year over year. Why do you think that is? Sarner: The success of Kachol Lavan is a major priority for the Schwartz/Reisman Centre and the Prosserman JCC, and a significant number of resources have been set aside for its continued growth. I think we also fill a significant void in our community by enhancing the teaching of Hebrew, creating a rich connection to Israel, and building a new community within the broader Jewish community. Hovich: There are many reasons why I believe JCC supplementary Hebrew schools are growing each year. I believe the supplementary Hebrew school sector offers a high standard of education. It provides both informal and formal education, which is helping students and families build and live their Jewish identity. Students are developing their Judaic knowledge and basic Hebrew literacy skills while being able to take part in other learning opportunities, such as workshops, events and activities. It is an easy, convenient and comfortable way to serve the needs of the families and the students, especially families with multiple children. What do you think is next for Kachol Lavan and J. Roots? Sarner: We have to keep up our efforts in promoting a modern supplementary Jewish education model and to unite Jewish community members from different cultural backgrounds. Ensuring the accommodation of diverse educational needs within the Jewish community will remain important, as will be helping students retain their connections to their respective cultural roots and heritage. Hovich: I think the JCC supplementary Hebrew schools are going to continue to grow and will remain strong. As a community, we need to continue to enhance educational components by adding different models of informal education to the formal education. This will continue to build and foster the Jewish identity for the generations to come. I first discovered the Schwartz/Reisman Centre at a time in my life when I was searching for something for myself, my kids were finishing high school and I had more time to focus on me. I wanted to get myself into shape and become stronger. When I originally joined the fitness centre, I would show up sporadically to exercise, but I didn’t love working out. My trainer Irina suggested that I try Tribe Team Training. It was hard, as it was the most physically challenging exercise program that I’ve ever done! Now, having stuck with it for two years, being part of the team is what keeps me coming back season after season. We look out for each other, cheer each other on and work hard to keep up with one another. We’re all in it together and together, we achieve more! I have never been this strong and I am proud of my accomplishments. I would not have been able to do it without my TRIBE people! My husband Ron was in a similar situation wanting to become healthier and more fit, yet not really finding his niche at the gym. I encouraged him to go to a Tribe trial, to which he immediately felt the great results that I did! Tribe Team Training has a comfortable and welcoming environment that challenges us physically, independently and as teammates. Being part of Tribe, I feel accomplished which is both motivating and addicting! The people that we’ve met in the programs have become new friends, as these classes have opened us up to new and exciting possibilities. The Schwartz/Reisman Centre has provided us with not only physical well being, but with an emotional and spiritual place where we feel at home. Contact Irina at [email protected] to book your Free Trial today! 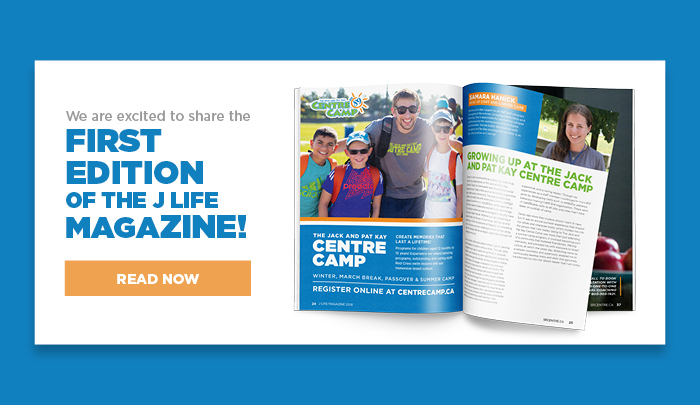 We are excited to share the first edition of JLIFE magazine with you! Our Fall/Winter 2018/2019 edition is jam packed with interesting articles, fun interviews, staff spotlights, event highlights and an overview of just about everything you can do as a part of the J community! View our interactive edition below, and stop by the centre to pick up your physical copy! #MyJCCStory: These bridge players love to hold hands. A JCC love story. Ron and Myra Greenberg make the drive to the Prosserman JCC every week to play bridge. Their love for the game started after the couple took lessons at the Schwartz/Reisman Centre. Once the lessons were completed the couple were asked to play a more advanced level of the game at Prosserman, where they now come every Thursday to meet with friends and share their love for cards. However, their affiliation with the JCC started much earlier their lives – as it was the place they first met! Both Bobby and Myra had mutual friends through the JCC who thought they would be a great match and were they ever right! “We went out for coffee – and the rest is history,” says Bobby as he recalls the details of their first date which led to their 21-year marriage and counting. Throughout the years, the JCC has been as place for the couple to meet friends and like-minded individuals. The couple continues to come back to the Centre because of the atmosphere, and because no matter where they are in life there are always programs and events that have allowed them to find couples and individuals with the same interests. “We are pretty close with a few people, we go out to dates and it’s a lot of fun!” Said Bobby of the friends they have made through Bridge. The couple continues to come back to the Centre because no matter what stage of life they are in, there are always programs and events that lead to meeting great people. Welcoming the new additions to our Fitness Equipment Family! We have an announcement to make! There’s a new addition to our family, and they aren’t babies! We have 2 brand new Life Fitness strength machines: the High Row, and the Incline Press. Both come with adjustable seating, are plate-loaded, and offer more opportunities for muscle growth! The High Row is used to target your back and is a nice alternative to our Low Row machine. By using both the High and Low Row, we can target the back at different angles. 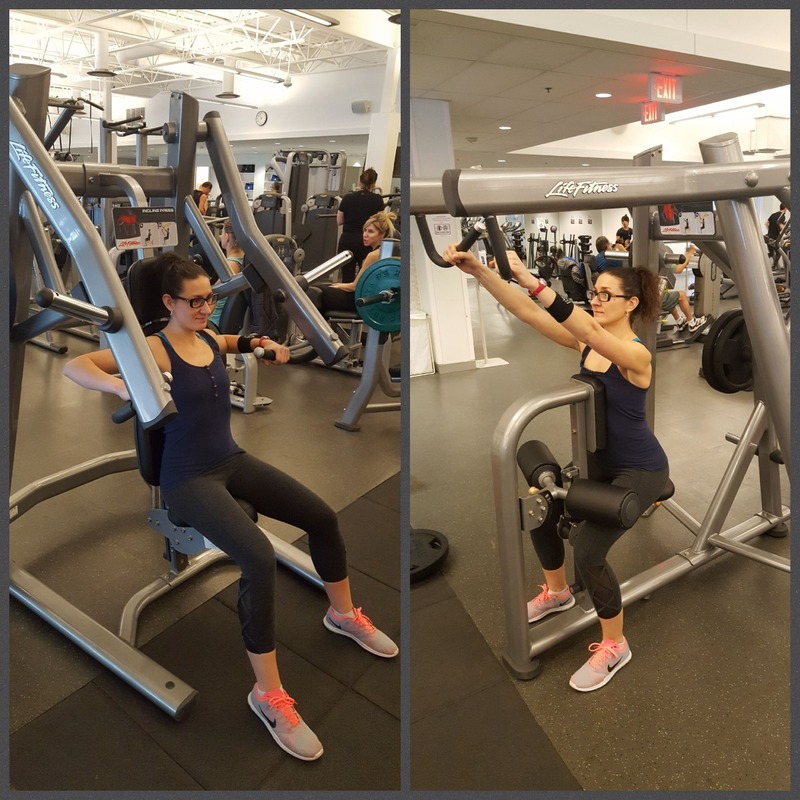 To use this machine correctly, you have to adjust your shoulders in the correct position (down and back) to stabilize your position. Pull through with the elbows and feel the squeeze in your mid back. The angle of this High Pull machine allows you to target the latissimus dorsi muscles (lats) more. The best part about this machine is that it complements the second addition to our fitness center, the Incline Press. The Incline Press is a compound exercise similar to the bench press; the difference is that it targets the front of the shoulders and upper chest. Although the movement and muscles targeted are similar to the incline bench press, using this machine allows for more stability as you build up the confidence and strength to tackle the incline bench press. Make sure to stop by the fitness centre and ask our Trainer on Duty to help you try these new babies out! Week 9 of construction and going strong! We are now in our 9th week of construction at the Prosserman JCC. It is completely amazing to see the large steps that have been accomplished in such little time. The large machinery has been brought in and the foundation is in the process of being laid down. The contractors have begun the backfilling and compaction for the new roadway. Additionally, the excavation for the pool and lower level foundation walls has started and the pouring of concrete for the foundation footings commenced last week. Whether you grew up with the Flintstones or Bob The Builder – it’s exciting to watch! The daycare kids are mesmerized with their front row seats watching as their future JCC comes to life right in front of their eyes. One of the construction workers even showed them some of the equipment and see how it works. They loved it! Despite all the excitement, we wanted to take this opportunity to remind members and visitor that the trucks and heavy equipment traffic will be sharing the access road. Please use extra caution. When necessary, there will be flagmen in place to direct traffic. For safety purposes, all pedestrian access should be through the Bathurst Street entrance. The potential relocation of the southbound TTC stop has been delayed due to some technical considerations so we will update you once the situation has been resolved. If you have any questions please feel free to contact us at anytime. 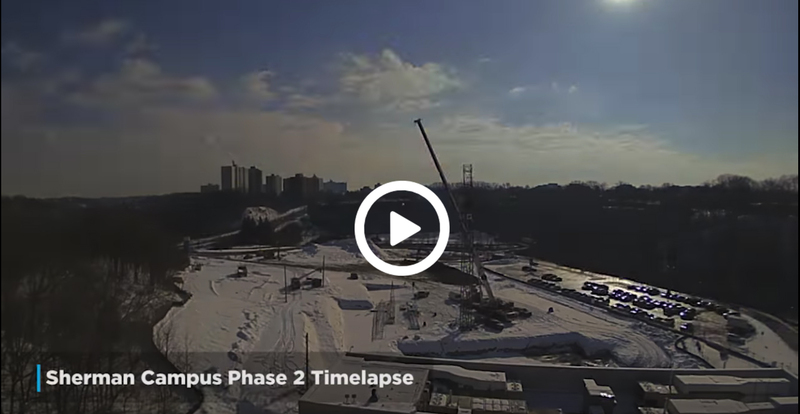 If you haven’t already, check out this time lapse which will be updated each month, here. Many parents report feeling frustrated when their child says: "I don't 'get' my homework - we didn't do this kind of question in class." That frustration, however, can be curbed with the following insight: students are actually best served when they are both encouraged and challenged - yes, to the point of not 'getting' their homework (at first!) and facing feelings of being 'stuck.' Indeed, research shows that these kinds of "I don't 'get' this" moments are actually the key ingredient in the recipe for students' academic success. Progressive teachers who are up to speed on both cutting-edge pedagogical research and the science of learning and success know that homework assignments should be split between questions that: A) Give students an opportunity to reiterate and reinforce skills and techniques that they have learned in the classroom (to this point), demonstrating that they have understood the materials and bolstering their confidence in their developing mastery of the subject; B) Challenge students to tackle problems that go a beyond what they have learned (or seen demonstrated) in the classroom (to that point), requiring that they make creative use of the skills and techniques they have learned in order to see and solve problems from a new perspective. As a result of this two-pronged approach, students are NOT expected to get every question correct on their first attempt(s). It is important that students, especially gifted students, are challenged, and that means getting stuck on certain questions, getting certain questions incorrect, and returning to rethink certain questions more than once. As recent studies have shown (see below), the experience of taking several attempts to master a new skill/solve a new problem not only encourages children’s academic growth, but also bolsters their self-reliance, resilience, creativity, and flexibility in the face of intellectual challenges. Children with such a “growth mindset” view challenges as “energizing rather than intimidating” because “they offer opportunities to learn” (Dweck 2015). These "growth mindset" students go on to be more successful at any academic endeavours in comparison with their peers. At Brain Power (the SRC's unique after-school enrichment learning centre - check out: www.brainpower.ca), for example, when students receive weekly homework feedback from their professor (before their next class! ), they are expected to make another attempt at solving the questions they got incorrect and actually revel in the challenge (and parents should not feel obliged to “step in” and explain the question to their children). At the beginning of each class, once the students have had the opportunity to work through difficulties on their own, the instructor reviews all of the homework questions, taking extra time to explain those that students found particularly challenging. Students are encouraged to ask questions, so that they will leave the classroom feeling that they have a grasp on the question and the skills/techniques necessary to solve it. In this way, students get the benefits of both A) struggling to solve the problem on their own, and B) having it explained by a professional instructor. Voila! A growth-mindset is nurtured in this way. So if a child 'gets' all of his/her homework with ease - maybe it's not so wonderful after all. In such cases, I encourage parents to ask their child's teacher for more challenging homework to balance out the relatively easy work received. Brain Power Enrichment Programs Ltd.
For some art is a hobby, for Kaylee painting provides a sense of pride and accomplishment & allowing her to feel as though she can do anything. It is also the main reason she continues to come to the Schwartz/Reisman Centre (SRC). 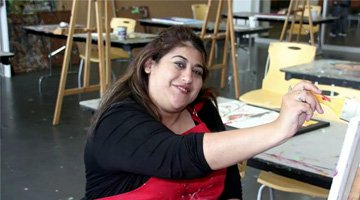 Kaylee is a resident of Reena, and she walks to the SRC to participate in an art class every Thursday. Painting is a way for Kaylee to express herself and the SRC community can always spot one of Kaylee's pieces. "I have lots of hearts in my art. That is who I am...it is what I do for my signature and people know my signature." Beyond support in her artistic endeavours, Kaylee loves her weekly visits to the SRC as it provides her with a sense of community, interacting with fellow members and staff and picking up new techniques to incorporate into her painting. It is also where she came up with her signature heart – a symbol that truly encompasses her spirit. Kaylee’s JCC Story is about empowerment through art and the heartfelt creations developed each Thursday. Subscribe to our email newsletter to receive our news and updates. You can unsubscribe at any time. Subscribe to our mailing list for news and updates. You can unsubscribe at any time.